Before you hire your first employee, and before you hire each subsequent employee, it is a good idea to review your hiring practices. Whether writing a job posting, recruiting potential hires, or interviewing and onboarding, there are steps you should (and shouldn’t) take. Below, your Miami business law attorney, Marisa Portuondo, discusses some of the basics. Whether it is your first employee or your 100th employee, when you decide you need to hire, take a few moments to consider your job description. If you don’t have a written job description, now is the time to create one – before you hire someone to fill the job. List the duties and responsibilities of the job. Carefully consider all aspects of the job, and make sure to include all reasonable requirements. More detail is better. Don’t assume, for example, that everyone can type, or that anyone can learn PowerPoint. If typing or PowerPoint or any other skill set is necessary for the job, include that in the job description. Employers are not permitted to engage in preferential hiring based on gender, age, race, or other similar qualities. “Looking for a young go-getter,” therefore, is not advisable. However, “Looking for a hard-working go-getter,” is not. If you want a diverse staff, you are going to have to engage in diverse recruiting strategies. Consider connecting with job fairs catering to minority populations. Advertise in community newspapers, as well as other publications that target diverse groups. You can even work with organizations that actively partner with employers to connect them with diverse potential employees. If you have an application form, is it legally compliant? If you haven’t had a Miami business law attorney review your application form in the last two years, now is a good time to do this. You want to make sure you are not asking applicants for inappropriate information. Consider interview questions carefully and in advance. Your interview questions should be designed with the job in mind. Recall, your goal is evaluating each applicant and their qualifications for a specific position. Write out your intended questions in advance. Ask open-ended questions and follow up for more information when needed. It is a good idea to take notes if you are interviewing a number of people. Your notes should be limited to qualifications relating to the job, not related to a person’s age, country of origin, race, gender, or disability. Finally, it is often a good idea to include more than one person in the interview process. If you own a business, consider hiring a business attorney to handle all your business law needs. In this busy day and age, why spend your time struggling to understand and meet your legal obligations relating to personnel issues, contract drafting, business incorporation, the preparation of business documents, and legal claims? Instead, contact the Portuondo Law Firm to discuss your business needs. Miami business law attorney Marisa Portuondo has both the legal background and the business experience you need to best situate your company to meet your business goals. 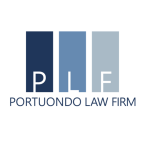 Portuondo Law Firm offers full service as well as as-needed business law representation, taking care of all your business law needs. This allows you to focus on building and growing your business. Contact us today at 786.440.8615.